Buy, Rent or Skip Kicking and Dreaming: A Story of Heart, Soul, and Rock and Roll? Kicking and Dreaming: A Story of Heart, Soul, and Rock and Roll may be a Rock and Roll memoir, but at its heart, it's a story about family. 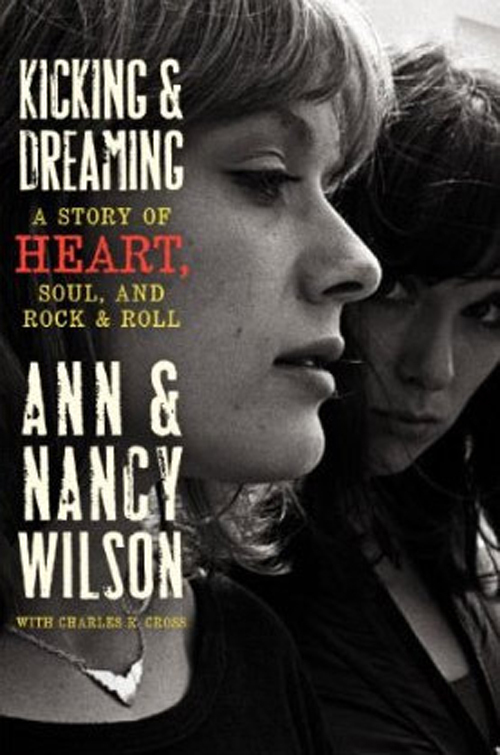 A lot of who and what Ann and Nancy Wilson were during the height of their careers and even today can all be attributed to their upbringing. Very revealing look into their childhood and the issues of body images, stuttering and loneliness is addressed in the book. It has been years since I saw their episode of Behind The Music, and I really can't remember a lot from that. But even back when it aired, I knew there were a lot of missing pieces within the episode. You can only squeeze in so much information into 44 minutes. This book fills in those missing pieces and does it one better by really going to great lengths to flesh out their story. There's a lot of stuff that I didn't even have a clue about at all. I would say about 90% of the book was new information and the other 10% was stuff I already knew, but more detail was provided for the reader. This book really isn't what I would call a "Kiss and Tell All" book. Yes, those famous moments surrounding their breakups with their exes are covered in detail, but it never comes across as character assassination or gossipy. It is what it is. I loved reading how Ann and Nancy were and still are geeks when it comes to meeting people they have idolized over the years. This just proves they put their pants on one leg at a time. The stories involving Courtney Love, Paul McCartney, Joni Mitchell, Jerry Cantrell and many, many more. Too many to list here. Kicking and Dreaming is a very easy and very fast read. Both Ann and Nancy write their own perspectives within the book and anyone else that has better insight to the story being told also gets in on the action to flesh out more details as well. This book is definitely worth checking out from you library. Thanks for an enlightening review. I may check it out. I bought Joe Vitale's book some years back and everything was peaches and cream. Not that I look for dirt, but page after page how everybody is cool and fun and average, gets boring. Hell, I know Joe Walsh was way more than anything Joe Vitale wrote about. One thing I forgot to mention in my review was how clever some of the writing is on Ann's part. She is telling a story, which seems like any other story at the time of reading it and then BOOM, you have just gotten insight into how Magic Man or Barracuda came to be. Sneaky. Now when you go back and listen to the songs or read the lyrics, everything she just talked about POPS out big time.